The hardest part will be plotting the flight path so that it eventually hits a teacher. 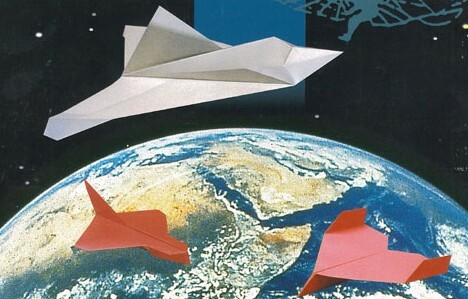 The reentry plane is an amazing and beautiful piece of origami. Is there a folding diagram or crease pattern for the plane?